Welcome friends! 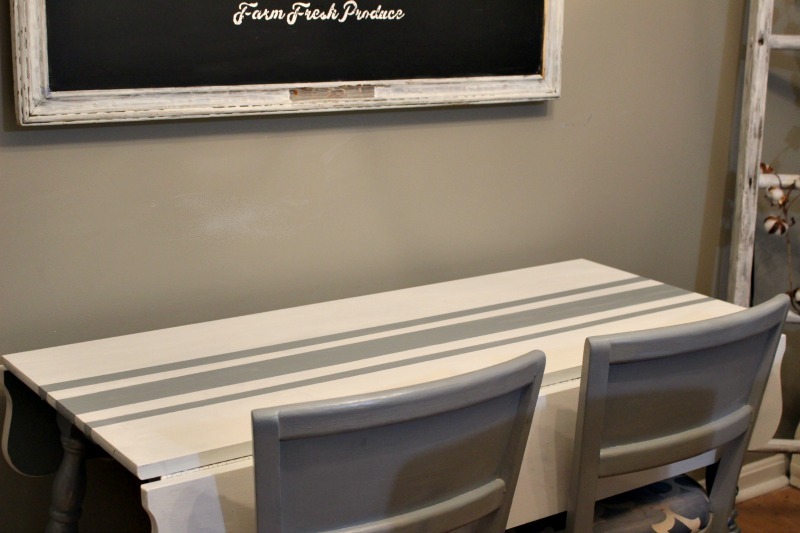 For this month’s Pinterest Challenge I am sharing a DIY grain sack striped kitchen table. 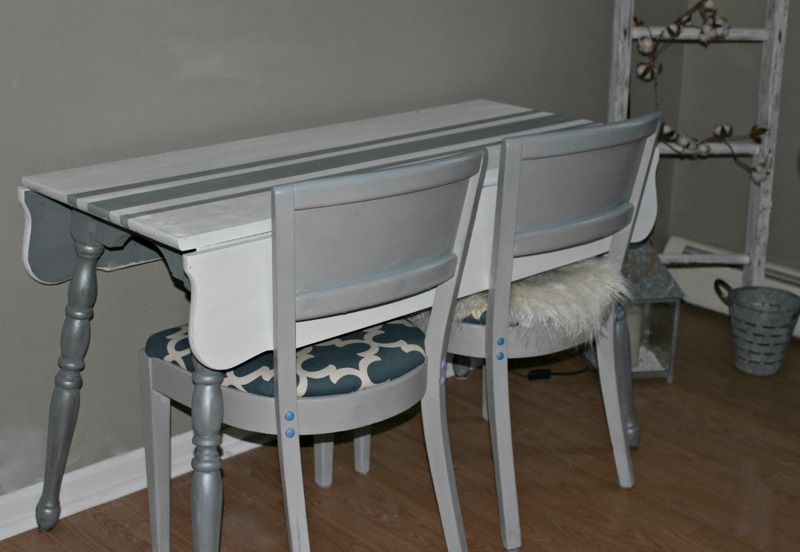 This classic drop leaf table is on its’ second makeover. It sat in my basement for a while and unfortunately was damaged in a recent move. Nothing some paint and frog tape couldn’t fix! 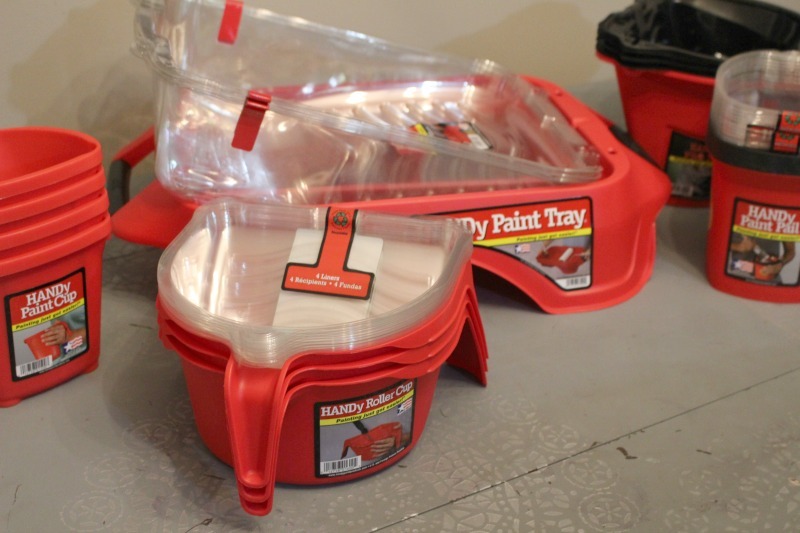 This post is sponsored by HANDy Paint and contains affiliate links at no extra cost to you. Please see my full disclosure here. When I was working on a kitchen update for the One Room Challenge, I wanted to have a table in the dining area, but there wasn’t a ton of room. This long, narrow drop-leaf table was the perfect size. You can see the kitchen reveal here. When HANDy Paint reached out to me, the timing was perfect! I love to refinish furniture, but to be honest, a lot of time I don’t have the right supplies, so I’m always scrambling to make do with what I do have. But I learned a valuable lesson with this table! Having the right tools, makes a huge difference in completing the project. You can see the original Pin that inspired me here. I saved so much time having the cup filled and not having to worry about holding the paint can or jar. 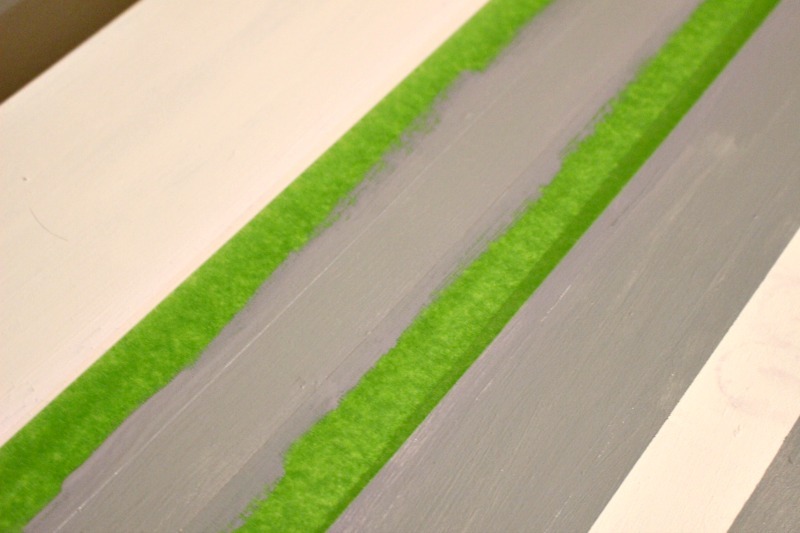 Also, I am a messy painter and this makes clean up so easy! I gave the table two coats of the Fusion Mineral Paint. I let it dry overnight. 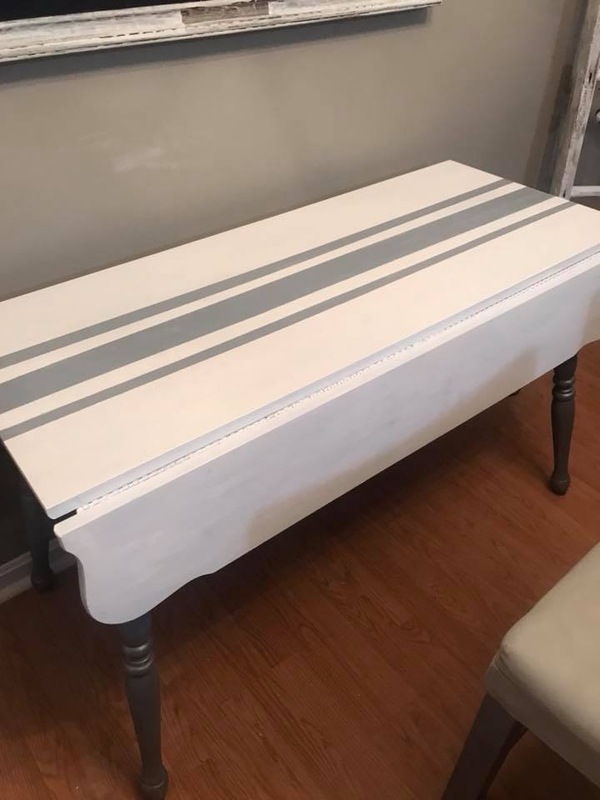 Next up, I used Frog Tape to measure out the grain sack stripe that I wanted and painted the stripes with a leftover gray paint that I had in my stash. 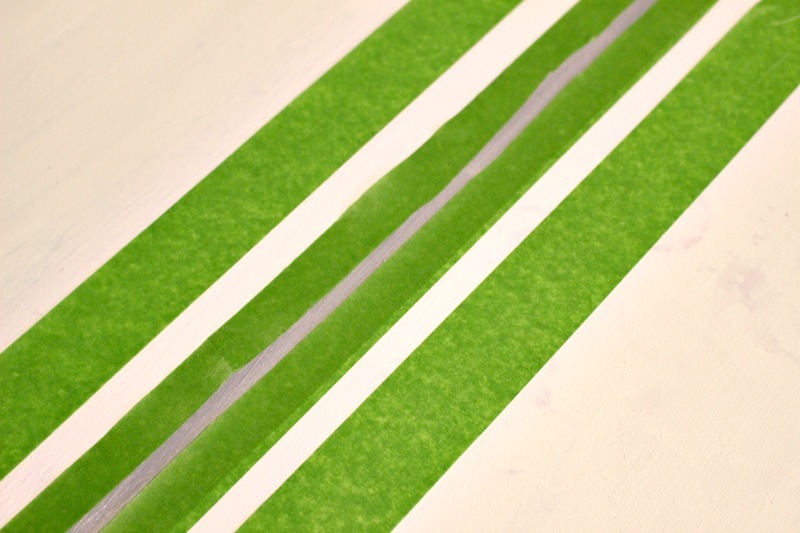 Peel the tape off while the paint is still wet. 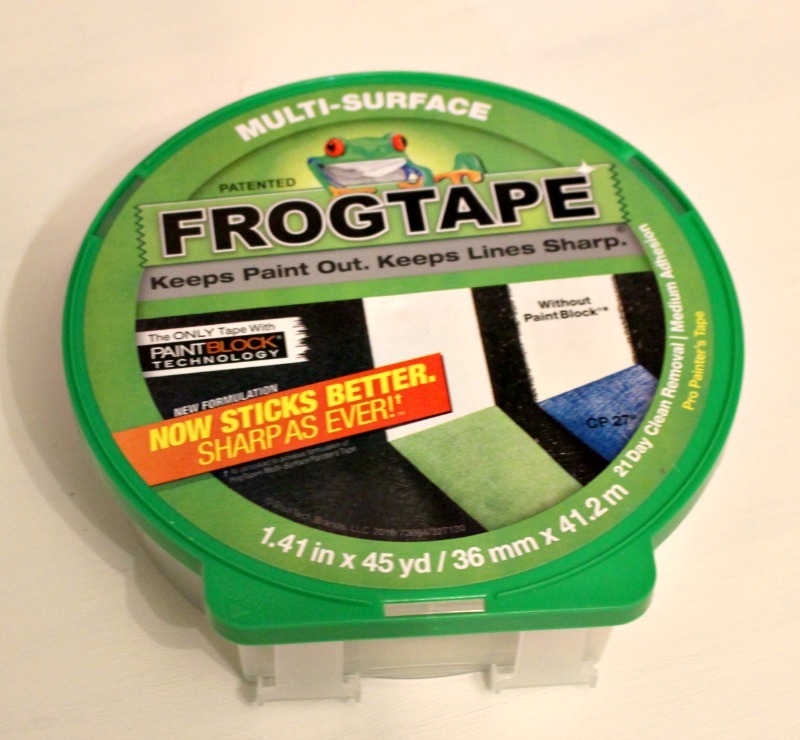 If necessary, touch up any areas that are not clean, but this tape works really great. The white against the gray legs is a nice contrast. This table will be great for the Holidays as I can use it as a buffet table and can open the leaf if needed. I still have to add a clear wax to the table and will definitely do that before the Holidays. 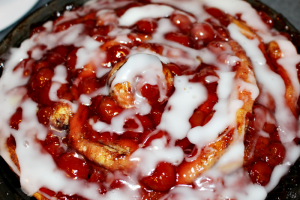 Thank you to Erlene from My Pinterventures for hosting this Pinterest Challenge. I hope you will check out some of the bloggers projects below. There is so much inspiration! It looks great Michelle! I love white & gray, which is what I did in my kitchen and eventually my whole house. The table looks great in your kitchen. That looks lovely! 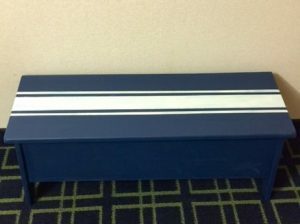 I have a table that needs refinishing and I hadn’t thought of painting it… I just may have to have another look at it. Pinned. Wow that turned out great! I love it! And those Handy cups have saved my sanity during a few painting projects. They’re great! Very nice! It’s always nice how painting something makes it feel like it is new again! You did an awesome job. Love those stripes. And gray and white are so in these days. 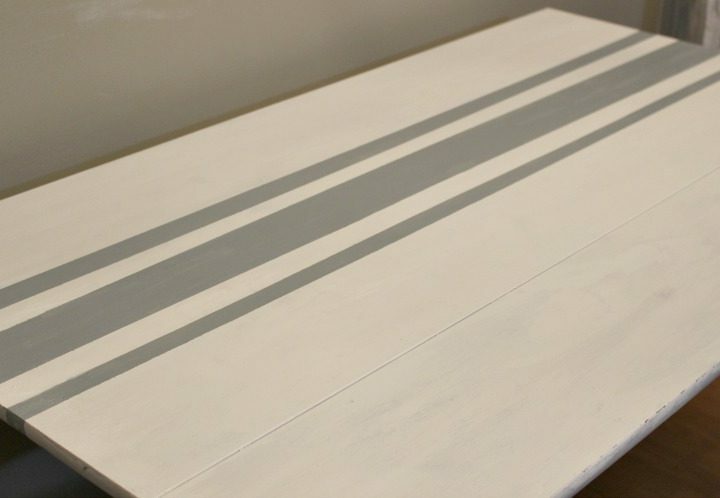 The table turned out so good, I love the addition of the grain stripes. The Handy Cups are great. I tend to be so sloppy so I am always interested in products to help me out. What a pretty project! You did a wonderful job.